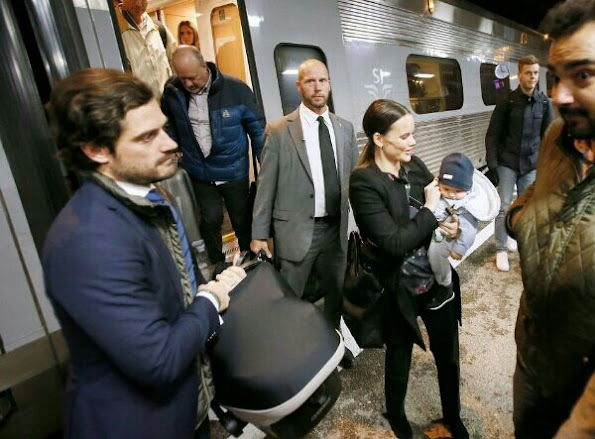 Prince Carl Philip, Princess Sofia and Prince Alexander arrived by train the night before in the city of Karlstad. 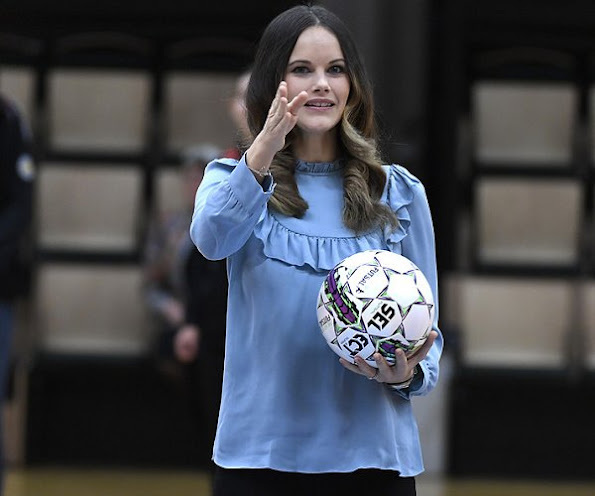 Princess Sofia was wearing a Ahlvar Kasumi Blouse. So what color really is the blouse, I can see three different colors on three photos! Apparently it only comes in a cream, black and vintage blue. So I would say vintage blue. It photographs strangely. Thanks Diane, vintage blue is nice color but not my style of a blouse. Good comment, Diane. It made me laugh about "wagon"
With that hairdo (all the hair off the face) she really looks like from that era. Ha,Ha Ha Ha Ha Ha Ha!!!!!!!! I do not like it. Though in Mayla photo the color is very nice. Príncipe Alexander...lindo:) Prince Carl Philip e Princesa Sofia,apesar de cansados...adoravéis! 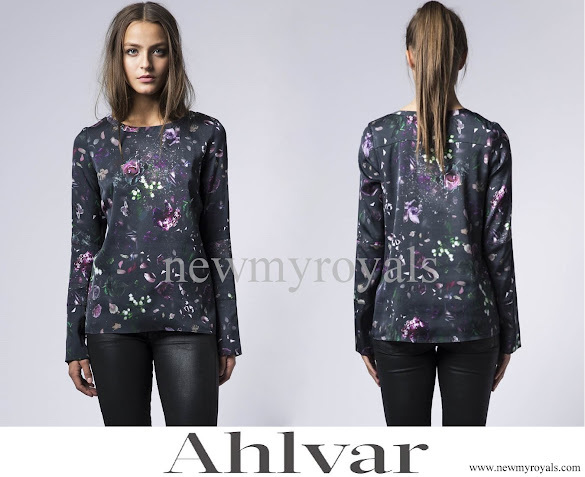 Pretty blouse that is very feminine and a bit casual at the same time. Soft blue is a good color on Sofia. 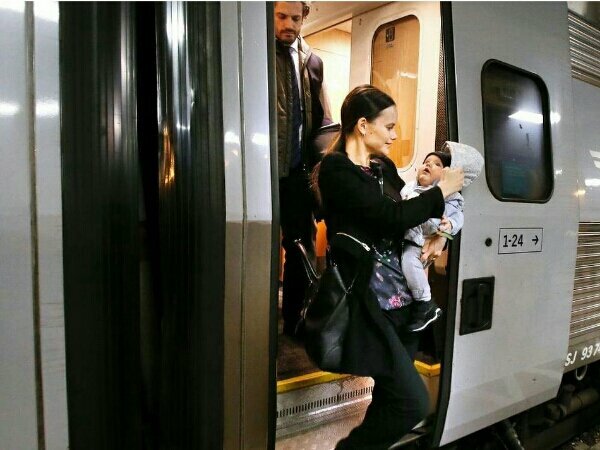 Had to smile at the photo of them exiting the train -- tired parents!